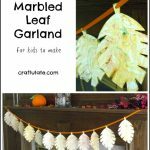 We’ve experimented with making marbled paper a few times – our first was nearly two years ago when we made the beautiful paper into Marbled Animals, and then we used some pretty pink and red marbled paper to make a Spring Flower Craft last year. 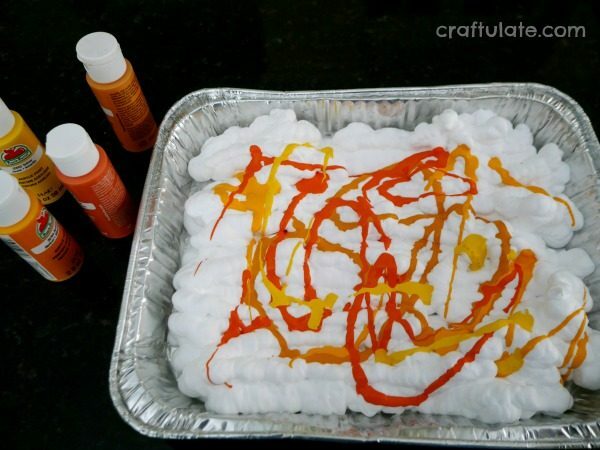 Fill the tray with a layer of shaving cream (the easiest way to do this is to turn the tray vertical and keep the can upright). Squirt on some paint in a random way. 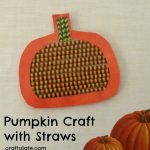 Use a stick (craft stick, chopstick or even a fork!) to gently swirl the paint around in the cream. Press the card onto the paint and cream, printed side down. Peel off the card and leave it for a few seconds to allow the paint to dye the card. Use a scraper tool to remove the cream from the card, wiping the excess onto a paper towel. Underneath a beautiful marbled picture will be revealed! Swirl the paint some more if needed, and make more prints. You’ll see different effects with each one. 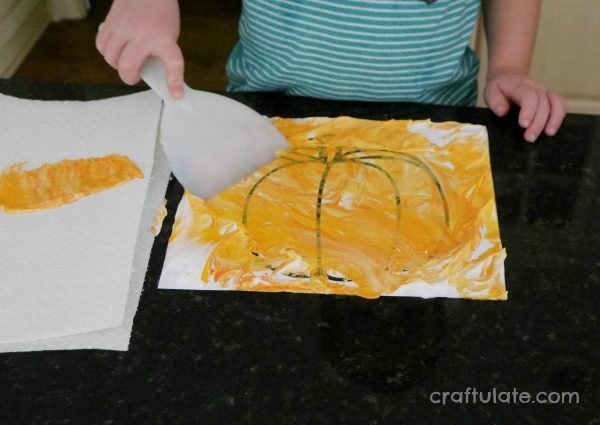 Leave the artwork to dry and cut out the pumpkins. 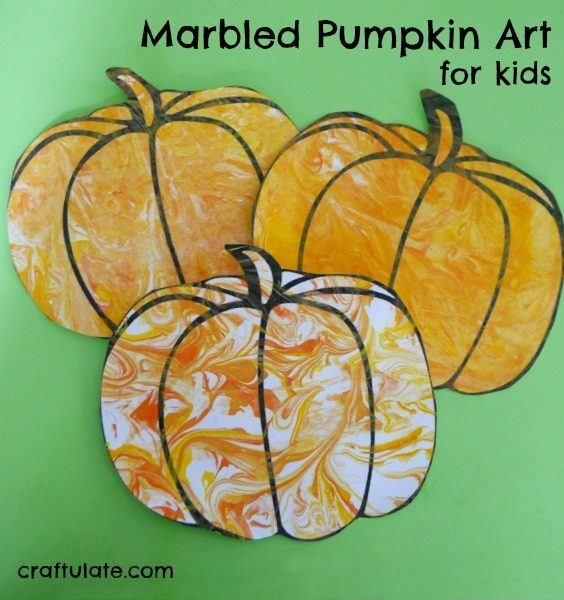 I love the marbled pumpkins. 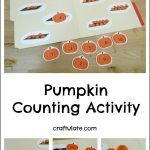 I plan to do these with the grands. It probably depends on the thickness of the cream, but I would imagine you could get at least 10 prints? You might have to add extra paint and swirl it around for more vibrant colors, though.